It would appear that I have pricked my thumbs as finally something wicked my way comes. That’s right, the theme for Round 3 of the Iron Painter 2015 contest is “Something Wicked This Way Comes” and although I have been eliminated from running for the crown, my quest to be named an Iron Painter is far from over. Due to being on vacation when the theme was announced and then playing catch-up on everything not hobby related as soon as I got back, I didn’t actually get started on this project until last night. But now you as what is’t I do? 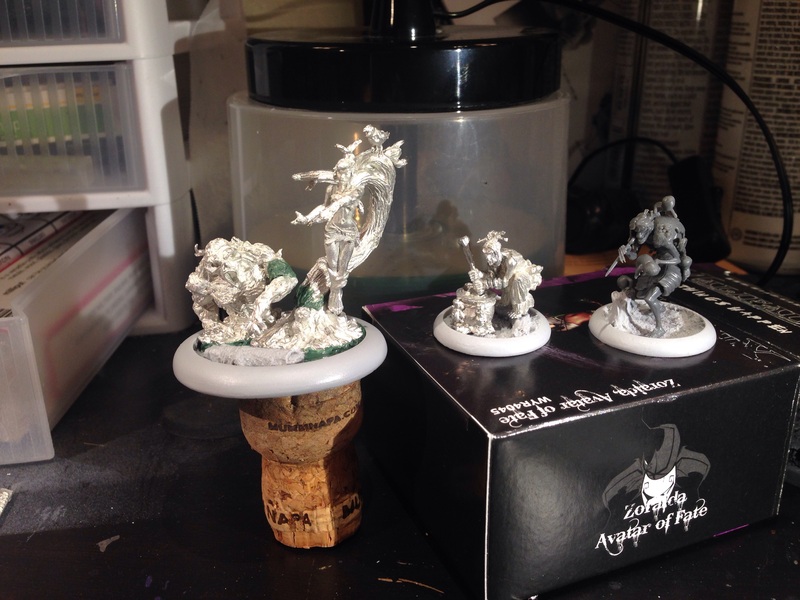 As I had to wait on the metal Zoraida and the Avatar to show up on my doorstep, I have only just begun on the building of these models. 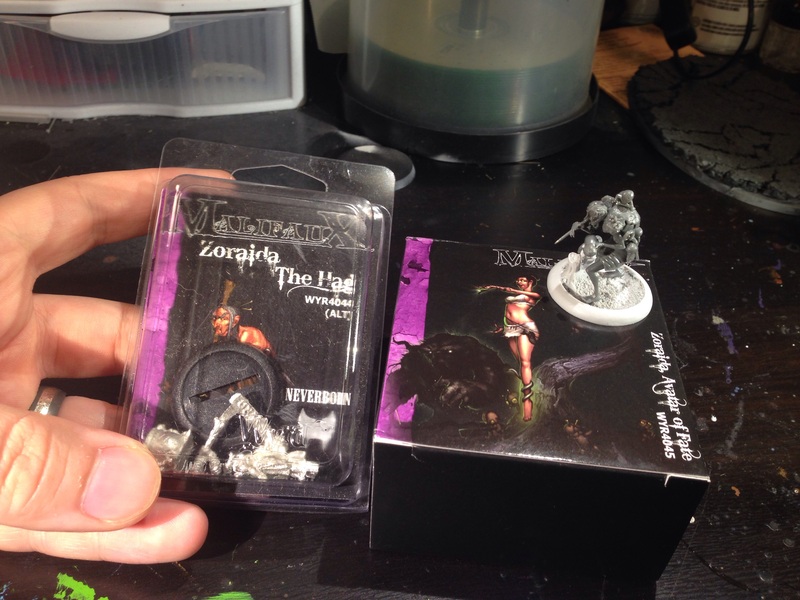 I was able to build the plastic Zoraida before the others showed up, but I didn’t want to start painting that one as I would like to have a consistent look across the three models and that is easier to do if I paint them all at the same time. Anyway, here is what I have thus far on my secret, black, and midnight hags. I am a little sad that I can’t really get in on the smack talk this round as I would have a lot of fun making Shakespeare references. Sadly such references to my lack of fear for any man of woman born, the fact that my opponent is not the thane of Fife, or that they are unable to bring Birnam Wood to my stronghold on high Dunsinane Hill shall go unused. Alas and alack.